I use bone broth throughout the year for our soups, gravies and anytime our recipes call for broth. Winter is a great time to replenish our stock of bone broth. All great bone broth starts with organic grass-fed beef bones, and we have that covered with our own Verdant Hills Farm beef bones. I changed up my recipe this year to include searing the beef bones over high heat on the grill for more flavor before simmering the bones for 2 days. I add carrots and onions from the garden the last day of simmering. 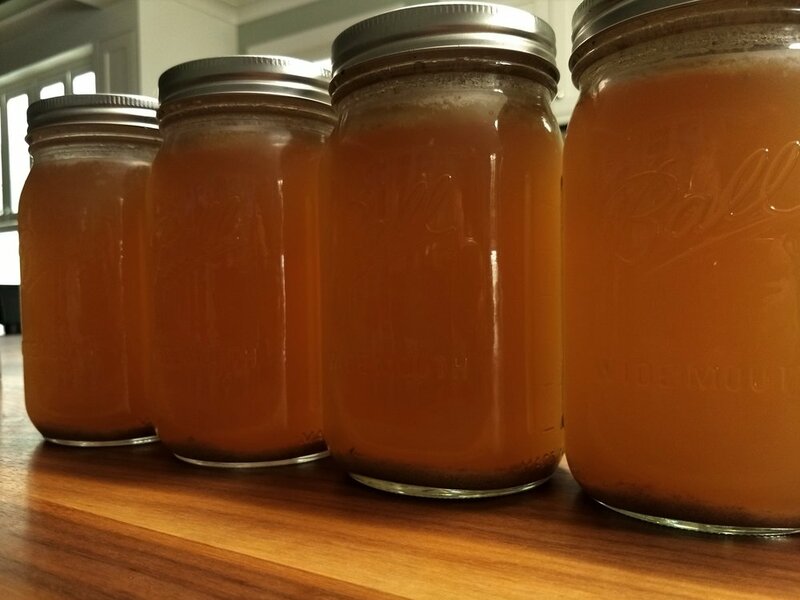 The results....simple, glorious bone broth. I'm happy to share details of the full recipe..just reach out. I'm here to help, so please don't hesitate to ask questions about the process or arrange a time for me to come out and help you start your first batch of bone broth. Here's drinking to your health!